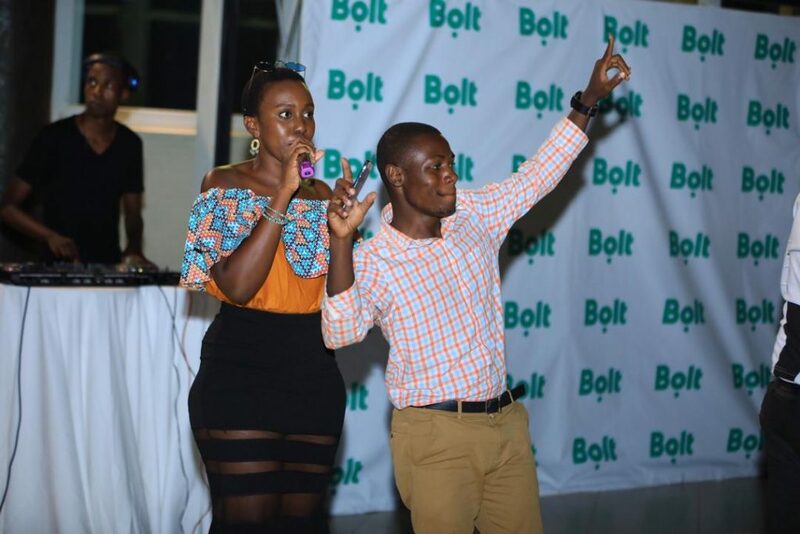 Taxify Uganda is now Bolt Uganda– the app in your phone is going to change name automatically! 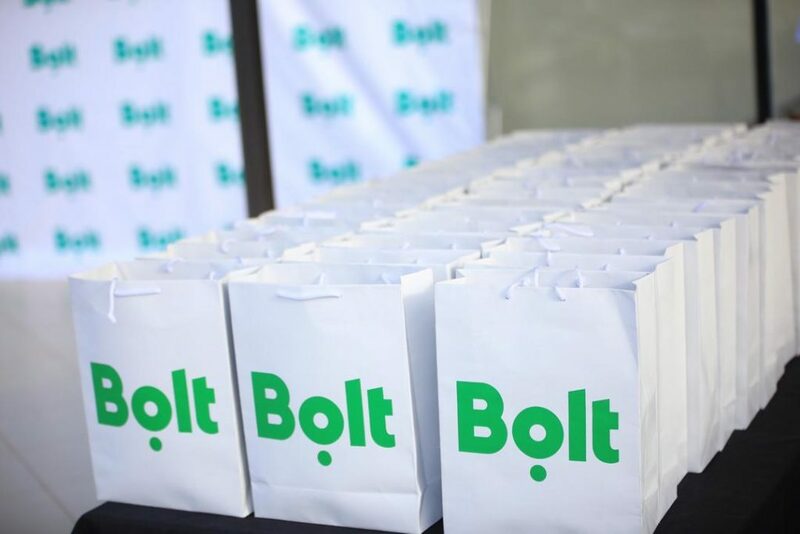 Across Europe, Taxify, the continent’s leading on-demand transportation platform, changed its name to Bolt and introduced a new logo a few weeks ago. However, the platform was yet to effect the name and logo change in Uganda, where it spread its wings three years ago. 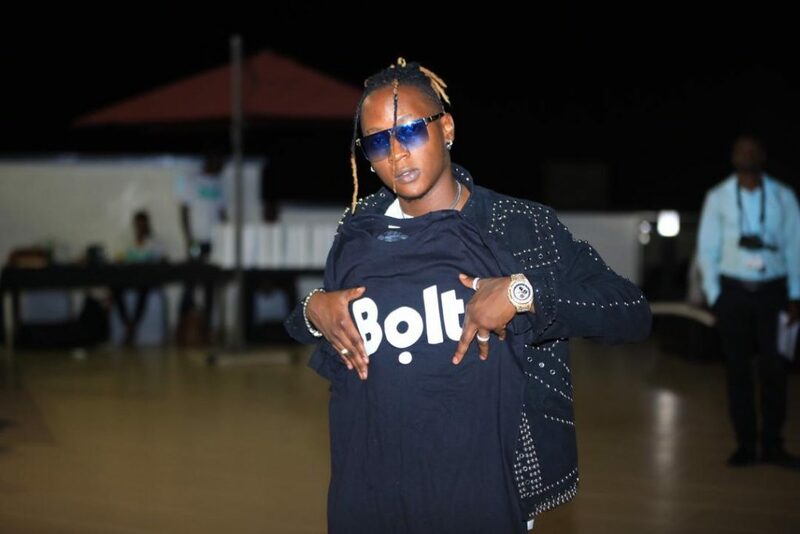 Bolt Uganda Ambassador Beenie Gunter posing in a T-Shirt bearing the new logo. Until yesterday evening, when Taxify Uganda officially became Bolt Uganda, complete with a new logo. 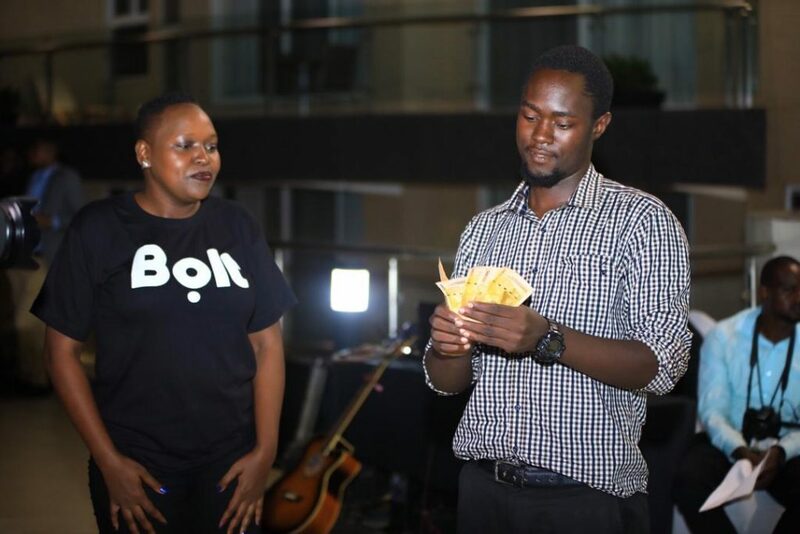 At an event held at Skyz Hotel Naguru, the Bolt Uganda top brass was in the house, as were a few celebrities and social media influencers, to officially launch the company into a new chapter under the new name and logo. Gift-hampers bearing the new platform logo. A message from Markus Villig, CEO and co-founder of Bolt, indicated that the re-branding of the former Taxify is being gradually rolled out across Bolt’s global markets over several weeks. He also indicated that Bolt users not need to take any action as the app (on their mobile phones) is going to update automatically. At the re-branding, the Bolt Uganda CEO said that the platform remains focused on making urban travel easier, quicker and more reliable. A guest who won money at the official re-brand cocktail counts his dimes. Estonian-born tech company Bolt now serves 25 million customers in over 30 countries globally, and has grown to become a market leader in Europe and Africa. It was also the first company to bring ride-hailing and scooter sharing together in one single app and is currently working on expanding the scooter sharing service across a number of European cities. Event MC of the rebrand cocktail party, radio personality Maritsa, having a good time with a guest.